This item is design by Lighting Efficient Design to be part of their Post Top light series. 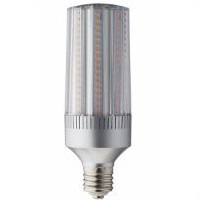 It provides 5,893 lumens for light output from only 45 watts. It can be used in damp environments and enclosed fixtures. There is a 5 year warranty and is DLC approved.